Thank you for this question, Donna, this is something I’ve come across so many places – the idea that the universe puts us to tests and challenges us. 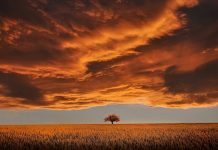 There are so many interesting facets to this question but the most important and noticeable thing is how old this line of thinking is – it is an ancient belief from the monotheistic religions, carried through to otherwise modern spirituality circles. The belief that there is someone or something out there with a big plan or lessons for us is something most of us are taught in some way in life. And it is a very common perception in Twin Flame circles and among those interested in spirituality. I notice that in many spiritual and religious traditions and in many Twin Flame communities online we can see a clear line of thinking that personifies the universe (and not always positively), much like the monotheistic religions do. The idea that the universe or God is a person with human-like traits who has a plan for everything and everyone and who has motivations to push and nudge us in certain directions. You can probably see that this is a very human-centric way of looking at the universe. 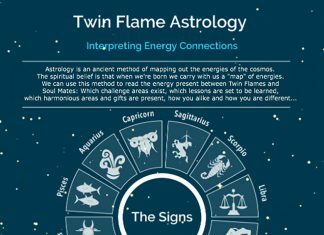 The latter type of belief is where the idea of Twin Flames being put through tests fits in, and the idea of the pre-set stages of the Twin Flame journey. Often we read that things will happen in “divine time” and that we’re not yet ready. Divine Timing is really the time when the energies are in alignment. It’s not that someone out there has a schedule for you and you’re not ready because they decide it to be so. It’s the fact that your energy is not yet in alignment with what you desire…That’s what Divine Timing means – it’s that the energies are a match. With the new energy shift on earth, you yourself can speed up this process by clearing blocks that might otherwise get in the way. Really if there is a test on this journey, it is for us to realize that we are the masters of our own existence and that no one else can prevent us from doing, being or having what we desire to create. We are co-creators of our journey. It has been shown to me over and over on my journey and communicated to me by spirit, that we are so much more in charge than we tend to think. Thinking that we’re small tends to be because we identify with our human bodies. But the spirit is unlimited. The universe predominately operates on energetic laws – it certainly does not have a malicious or demanding series of tests for us to overcome so that our lives are filled with suffering to overcome. If anyone is making you learn lessons, it is you and your own soul, who desired to evolve and develop as much as possible on your journey, and get over any past negativity you have been carrying around. There are many energetic laws in operation in the universe, but the biggest and most noticeable one is that “like attracts like”. Let me explain: We and everything around us are energy, tiny particles making up what we perceive as solid objects. But nothing is actually solid – it consists of microscopic particles and atoms vibrating energetically. This is scientific fact, and you can look up the latest research in quantum physics to check if you want. So the law of “like attracts like”, or more famously “the law of attraction” means that the energy and expectations you send out (the vibrational frequency you’re in) puts you in alignment with drawing like things and experiences to you. So on the metaphysical plane if you have a predominately negative worldview that “life is hard”, that is what you’re shaping your energy to allow in and attract more of. Like with an old fashioned radio, you tune into a particular station by being in a particular frame of mind and emotion. So you can actually change your energy to shift the channel from “fear and lack” to “love and joy”. This is why working on our energy is so important on the Twin Flame journey. If we have the preset that “love hurts” or that “the Twin Flame journey is a struggle”, this is the signal we’re emitting into the universe and will be attracting. It is really important to know that these laws of energy operate completely “neutrally”, like gravity. There is no one controlling gravity and ensuring you comply with it, it just IS. So when we attract challenges and hard lessons to learn on our Twin Flame journey it is overwhelmingly because our energy is in alignment with it. Often it’s due to core negative beliefs, but it can also be due to unhealed karmic wounds buried deeply in our energy field that keep emitting energies of trauma out into the universe. In this way, you could describe a challenge as a “lesson” because if you for example have trauma related to abandonment and you keep attracting this over and over, you are given the opportunity to realize what your wound is so you can heal it and move on. When we heal karmic and energetic wounds, we stop emitting the negative frequency into the universe, and we therefore stop attracting “lessons” over and over. In some spiritual circles this would be referred to as “releasing the lesson” or “learning the lesson” but truly it’s due to the fact that we’ve stopped emitting the energy frequency that kept us in a loop of attracting negativity over and over. Here on earth, our feelings about the universe and our views of God or source consciousness are very closely linked to our relationship to the father figure in our lives growing up. This can be an eye-opener to consider: What was your father like when you were little? Was he involved in your life? Was he dependable and always helped you and made you feel taken care of and safe? Or was he himself emotionally wounded and distant? Was he absent? Was he loving and generous or was he demanding and withholding of love? Now compare with your view of God or Source or the universe. Religion can actually be a help for people in this regard, as it can provide a new template for a loving father figure. However, often Christianity and Islam especially depict an easily angered and demanding God/collective Father figure. In reality we are the ones manifesting these traits in our interaction with the universe and the world around us – we keep the energetic realm mirroring back to us any positivity or negativity in accordance with what we expect. This has been one of the biggest “lessons” on my own journey, to recognize that our childhood patterns and relationships keep us locked in skewed perceptions of the world around us – and thereby attracting what often doesn’t serve us. It’s why I created the Inner Child Healing for Twin Flames. So to open up your journey to increased abundance and love, I would suggest examining this and seeing where there may be buried wounds attracting negativity. Remember that there is always guidance and help around us, to assist us in using the laws of energy to our advantage, stir us to raise our vibrations and help us create our desires. You can always ask for help and support, and you have a team ready to assist you in any way possible. Spirit guides are like us – souls, consciousness – but without earthly bodies right now. They have signed up in agreement with you, to help you on your journey. It helps to shift your thinking to see the universe as always working in your favor – everything is rigged to your advantage. If wounds come up to be healed, it is so that you can clear the negativity and move on in increased joy. If you encounter challenges, they are showing you that you’re energetically attracting them and would benefit from adjusting your beliefs, energy and karma. It all helps and serves you. Above all, know that you are powerful and that you have the ability to create the life you desire. There is no destiny that can or will force you to be unhappy or alone for life. I promise. Adjust your energy, and you can make anything happen! If you feel that you need help with clearing unhealed wounds and negative, congested energy, or to manage your energy better to create increased abundance and open up to love on your Twin Flame journey, have a look at the Intensive Energy Clearing Session for Twin Flames I’ve created.